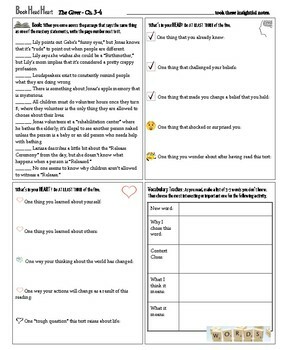 These reading guides are based upon Kylene Beers and Robert C. Probst’s work as presented in their book Disrupting Thinking. 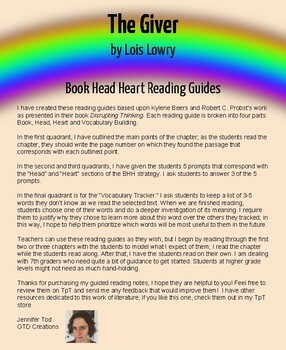 Each reading guide is broken into four parts: Book, Head, Heart and Vocabulary Building. The first quadrant outlines the main points of the chapter; as the students read the chapter, they should write the page number on which they found the passage that corresponds with each outlined point. 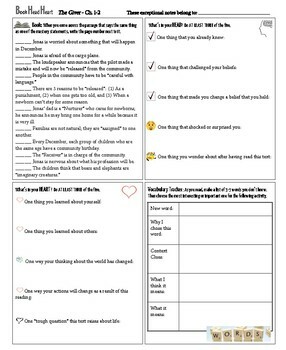 In the second and third quadrants, there are 5 prompts that correspond with the “Head” and “Heart” sections of the BHH strategy. 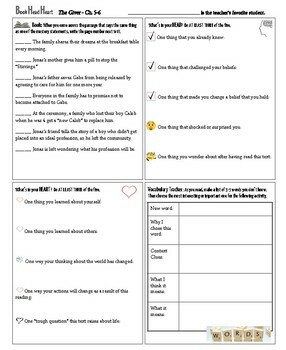 In the final quadrant is for the “Vocabulary Tracker.” Students choose a key word from the reading and do a deeper investigation of its meaning.